Everybody needs beauty as well as bread, places to play in and pray in, where nature may heal and give strength to the body and soul. It all started with a walk in the woods back in November 2014. I told my friend Jenny that I wanted to hike a section of the AT (Appalachian Trail) from the NOC (Nantahala Outdoor Center) to Springer Mtn, GA (South Terminus). At that point, I had never set foot on the trail until that day but this adventure was now on my list. I figured if I could run 100 miles through the woods, surely I could walk 137 miles in 10 days or so. Almost a year later (December 2015), we took a day trip up to Springer Mtn, GA to scope out the end of the trail using a backroad less traveled which allowed us to avoid the 8 mile approach trail to the AT from Amicalola. The dream was now set into motion and in July 2016, I completed my first ever backpacking trip covering 88 miles in 8 days with Jessa, Mary, Callie, and Kathy. It was also the beginning of my trail fever. Jenny - Always ready for adventure! 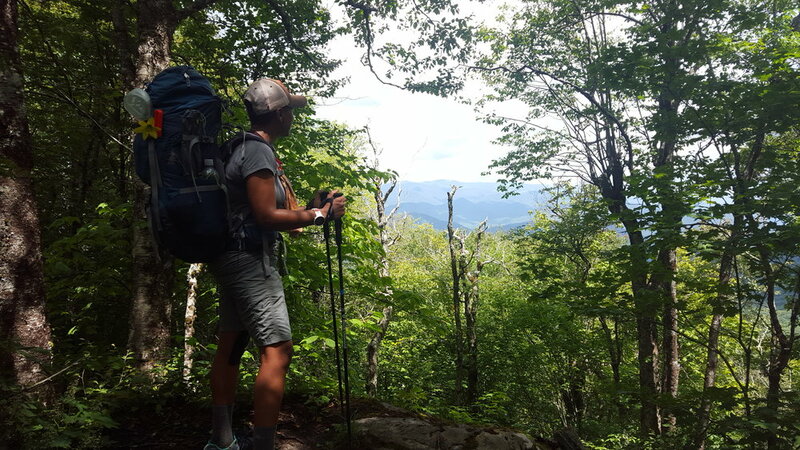 Of course, the day hike was not enough to cure the trail fever and plans were hatched immediately to come back to the AT for the section from Neels Gap to Springer Mtn (~32 miles) just prior to my actual birthday. The goal would be complete - 137 miles from Springer Mtn to the NOC. 11/16/16 - Made it to Neels Gap at 9 ish. Met Gumby Bear and 4 other thru-hikers staying at the hostel. They had to be shuttled to safety because of the wildfires but still managed to hike more than 2,000 miles this season. I am cold and tired so I am about to hit the sack. 11/17/16 - Crazy long day - 15 hilly miles (in my tent by 7:40 pm). We got started at 9:30 am then spent a fair amount of time on Blood Mountain looking at the incredible views and eating a snack after the tough climb. It was crazy hot but the smoke (from arson) stayed away until late afternoon. We met up with a bunch of SOBO's (southbound thru-hikers - Everest, Walker, Baby Bear, Thumper, Beast, Ash, TBD, and friends) who are going to be finishing up on Saturday. Of course, there was a wild party at the Gooch Gap shelter where everyone bombed a beer to celebrate my birthday. I feel like hiker trash even if only for a section. I hope my hiking partner makes it tomorrow. 11/18/16 - I didn't miss social media for a second while hiking the AT. It was an amazing journey that got started today at 6:30 am. I slept ok last night except for the intermittent coughing and sliding around in my sleeping bag. I was also amazed to see how bright it was outside because of the supermoon. But away from the moon, I could see the beautiful stars only visible in darkness minus artificial light. Well, we got underway hiking at 8:00am struggling up 4 plus mountains before noon with more than 20lbs on our backs . Then it was downhill for 3 plus miles and we needed the reprieve from the heat. The last 4 miles were the longest ever but I was determined to make it to the southernmost terminus of the AT. Good thing we dropped our bags at the jeep so that the last 2 miles of our 17-mile journey were bearable. The view from the Terminus was extra special at the end of a couple of days of strenuous hiking. The entire trip was filled with beautiful overlooks, a wide array of changing leaves, conifer trees, flowing creeks, birds, chipmunks, squirrels, butterflies, sunrises and sunsets, and best of all cool people. I loved every minute of the trip even when I was suffering. At least I knew that I was still alive. This is truly why I chose to celebrate my birthday outside. To feel alive. Watching tennis greats like Martina Navratilova, Billy Jean King, and Chris Evert in the 70's and early 80's made me want to play tennis. My parents were happy to support this interest but only if I promised to stick with it. I had to prove that I really wanted to play especially since I was only 8 years old when I asked for my first tennis racket. My dad finally went to Kmart and got me a wooden Chris Evert racket after seeing me glued to the TV week after week and hitting a tennis ball against our house with my hand. From that point on, I remember hitting a tennis ball almost every day for years and played on a team from 7th grade through high school. I also learned about Althea Gibson who the first African American to win the French Open in 1956. If she could compete, I thought so could I. Although I was never a star tennis player, I did develop a mean backhand and a consistent serve through lots of practice. After high school, tennis remained in my life but only as a social outlet. Except for that one time during my postdoc when I was asked to teach beginning tennis at the University of Miami. It was either tennis or anatomy and physiology. I opted to be outside with no regrets. It was actually fun to be back on the courts again showing others how to play. My first coach, Mr. Carl Williams, also taught me about responsibility. I heard him say many times, "excuses only satisfies the man who makes them." That has stuck with me all of my life and it helps me to stay focused on my commitments. I truly believe that my playing tennis taught me many invaluable life lessons and I am grateful that my parents supported my participation in this fine sport. As for now, I occasionally catch one of the major tournaments on TV and have fond memories of this sport that taught me the importance of dedication, endurance, and persistence. I love books. They have always been my favorite of source of entertainment and adventure. One of my favorite childhood books on nature was Walden by Henry David Thoreau. I was particularly drawn to the idea of living simply in a cabin in the woods (a romantic introvert's dream). I also loved magazines for the stories but the pictures were what really drew me in. Pictures of far away places and exotic cultures were intoxicating to my curious mind. National geographic was a favorite with one of the most memorable covers -- Afghan Girl (striking green eyes) -- published in 1984. I dreamed of one day traveling the world to see it all for myself. Today this day, National Geographic is a part of my reading collection (I got the subscription for my husband's birthday - heehee!) I like other magazines but none as much as NG. But of course, these books, magazines, and TV shows represent only a small part of my exposure as a kid. My mom made sure that my brother and I were exposed to all types of literature including publications that informed us about black lives beyond our own experience. We had subscriptions to Ebony, Jet, and Essence magazines which showcased the lives of African Americans not generally included in mainstream magazines when I was growing up. We also had a set of the Ebony Pictorial History of Black America from the 1970's to supplement the biased accounts of history being taught in South Carolina schools at the time. The bottom line is I've always been a bit of an explorer/adventurer, bookworm, and dreamer. This was encouraged in my household, so I guess being a scientist was my destiny. But my mom used to say "you can take a girl out of the country, but you can never take the country out of the girl." I will always be a country girl looking for adventure in nature and no one can ever take that away from me. As a kid, we never want to believe that we are like our parents in any way. Call it nature or nurture, but I have to admit that I see so many ways that I am like both of my parents. I definitely have my mom's travel bug but my dad definitely exposed me to the photo bug. Although he was an amateur photographer, he shot weddings, social events, church functions and even some forensics pictures (image discovering some of those as a kid -- yikes). I can only image the kind of pictures he would be taking now with all of the new technology we have. But he took some pretty cool shots with old 120 film cameras, 35 mm, and the polaroid One Step 600. He even shot movies with his Super 8mm video camera. My dad had talent. Heaven only knows how he got into the picture taking business but his photo bug has been passed down to me. I actually learned a lot about composition and lighting from my dad and I use these skills to compete with my husband who thinks he is the master of everything photography. Ermanno may have more technical knowledge than me but I have old school experience. Let's see what you think. Below are the last pictures I took with my dad before he passed away and the last picture he took of me. As they say, the apple does not fall too far from the tree. Here's to you, dad. Even though I don't remember much about my girl scout experience besides selling lots of cookies every year and wearing the uniform, one thing has always stuck with me. The Girl Scout Motto - from the 1947 Handbook -- "BE PREPARED." The trunk of my car is a testament to this statement for better or worse. Whether it is pulling together a gear list for a backpacking trip, organizing a drop bag for a 100 mile race, or packing for work travel, I try to think of everything that could come up and bring along a simple solution. Here is a sample of 7 items I always take with me on the road beyond my usual outfits.Some of these items cover basic needs but others are particularly great in an emergency. I can think of a ton of things that could be made out of duct tape like an ankle brace or a drinking vessel or a clothes line. It is super versatile and cheap. This is just one example. There are actually books on thousands of uses for duct tape. For the other items, there may appear to be only one use but my mcgyvering mind sees lots of possibilities. Hopefully, you will too in a pinch. I am happy to share my complete list or provide a consultation upon request. Where I'm from, it be like, "run your coat black"
I am from a conglomeration of all of the places that I have lived or visited; far too many to name here. But where I was born is a whole other story. Orangeburg, SC (my hometown) is the home of two Historically Black Universities; Claflin University (1869) and South Carolina State University (1896). And this matters because it means that getting an education is a central theme in the city of ~14,000 people of whom approximately 75% are African American. 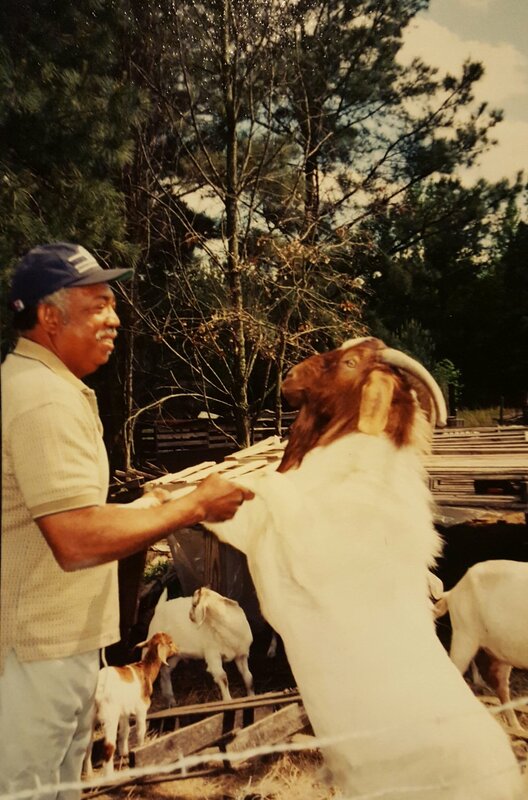 One of my uncles (Dr. Johnnie J. Jenkins, Jr) was a chemistry professor at SCSU where I spent lots of time in his lab observing experiments and learning to conduct my own. I don't remember exactly what chemical reactions he was trying to show me but I do remember using litmus paper to test the pH of different liquids. The tiny sheets of paper would change color when dipped into different common liquids. These activities were so much fun for me as a kid. But in actuality, I just really liked spending time with my super smart uncle who indulged my intellectual curiosity. He also took me to the library on campus to check out books on science and nature. Its no wonder that I am turned out to be a scientist too. Back to my hometown. 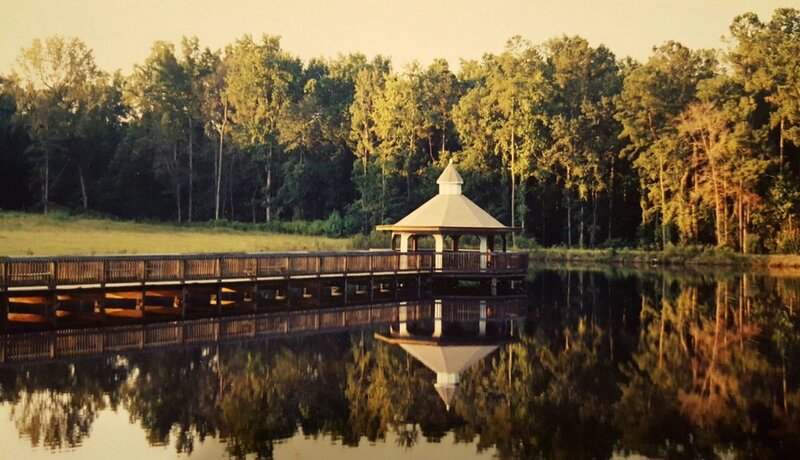 Orangeburg features the North Edisto River (blackwater river, 150 miles long) which flows southeast to the Atlantic Ocean in Charleston, SC. 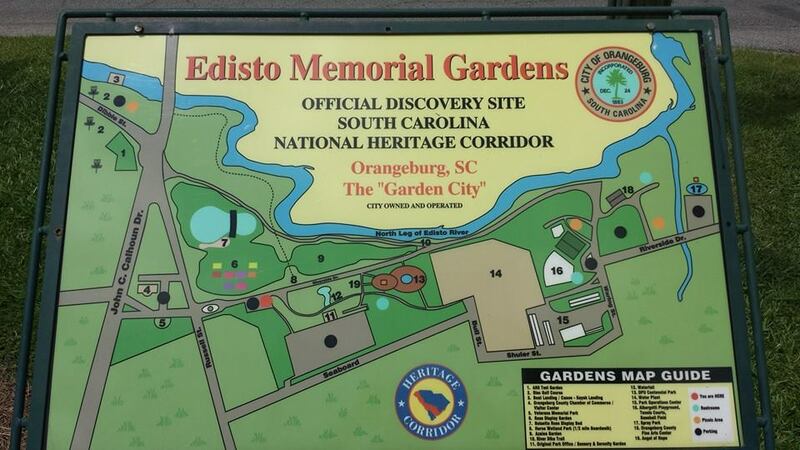 It is also the home of the Edisto Memorial Gardens (established in the 1920's) which is famous for its roses and over 4,800 plants. 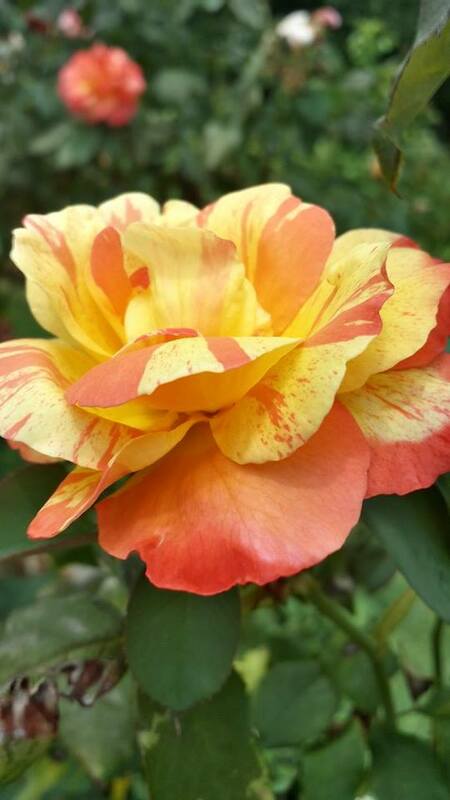 The annual rose festival is held every Mother's Day to showcase the award winning flowers. Growing up, my family would often go to the gardens on our weekly Sunday afternoon drive. 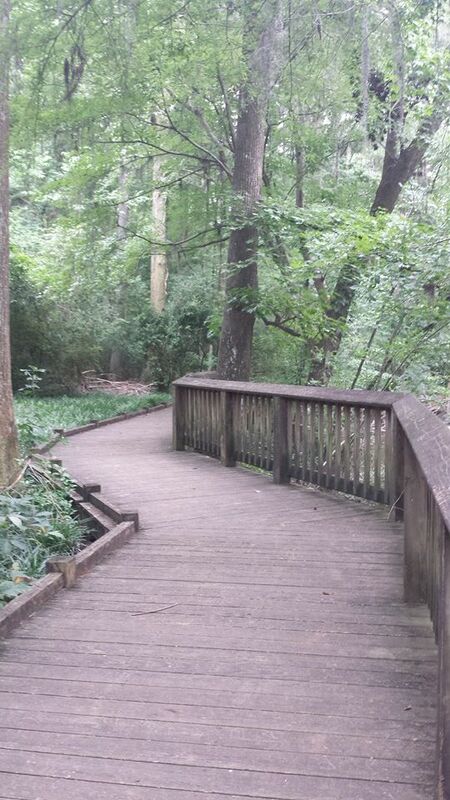 We would walk through the gardens and along the river on the board walk. In addition to the roses, there were beautiful trees with strange moss that swayed in the breeze. Sometime my mom would gather the Spanish Moss to put in her shoes; this folk remedy is said to lower blood pressure. This is just one remedy I learned about as a kids --- I will write about others later. Back to the gardens. in addition to our weekly visits, we came to the gardens on many occasions for parties, picnics and weddings. I also played tennis at the two courts in the upper garden area but we were not allowed to swim in the black waters due to the strong currents. And I am glad we didn't as there are also numerous snakes in the river including the aggressive water moccasin. A couple of years ago, I went for a run along the river and saw several snakes from a distance. Maybe one day I will go canoeing on this beautiful river but swinging from one of those ropes and jumping into the river will never happen. 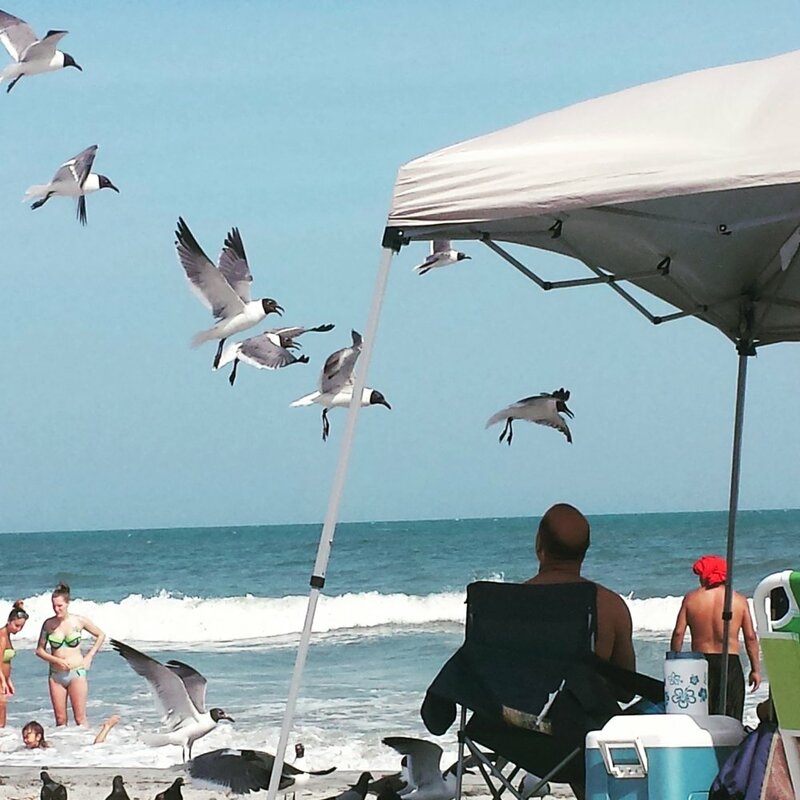 Especially since it is easy to travel to Myrtle Beach, Charleston, Folly Beach, Isle of Palms, Hilton Head Island or Savannah GA to enjoy the ocean. All of these beautiful cities are within 2 hours of Orangeburg. Some might say that growing up in a small town is boring but I had many great experiences in the outdoors there with my family. We took full advantage of the beauty around us that helped to shape me into the person I have become. I am proud to be from Orangeburg, SC and I am sure my ancestors would be proud too as I stand on the shoulders of greatness. Fishing was a major leisure time activity for my family. When I was growing up, my dad would take us fishing many places around the state. We would sometimes go deep sea fishing on his boat but mostly we took our little bamboo poles to Mr. McClain's pond just down the street from our house. But first, we needed to get some lures to make our hooks a bit more appetizing for the freshwater bream, catfish, or bass. Although my dad used plastic flies for catching the big guys, my mom mostly used live earthworms (aka baits) or crickets. Sometimes we would go digging for our own earthworms or catch crickets from our yard. 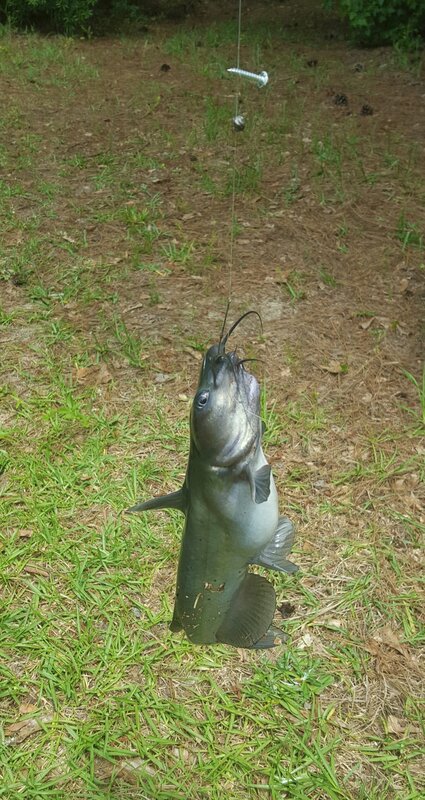 The trick was then to scoop out just one, grabbing it strategically to get it on the hook so that it was not too easy for the fish to get it off without getting caught. On a good day when the fish were "jumping" we would catch enough for everyone to have 2 whole fried fish with a side of rice and tomatoes and cucumbers. I think these meals were more delicious that usual since we worked for our meal. To keep the family tradition of regular fishing trips, my dad built a fresh water pond on our land near my mom's current home. A short walk down the trail behind her house is an amazing outdoor oasis. Last time I was there, I saw many small bream and my mom caught a huge catfish. It still amazes me how small things that we take for granted can bring so much pleasure and relaxation. 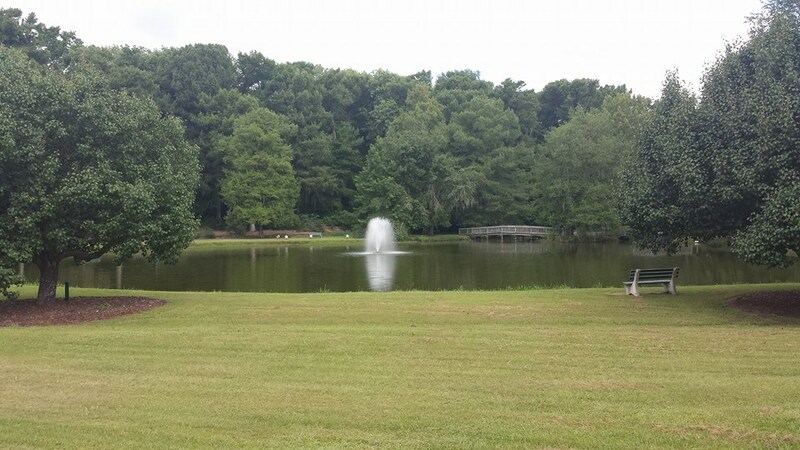 This pond is a part of our family legacy of outdoor connectedness that I hope will provide rejuvenation to my family and friends for years to come. Almost everyone I know from South Carolina has relatives up north. Many were a part of The Great Migration of more than 6 million African Americans from the South between 1915-1970. As a matter of fact, all of my dad's siblings and his mother moved to NY/NJ while my immediate family stayed in South Carolina. My grandfather had died tragically in a truck accident which may have precipitated the move up north for the others. Why my dad didn't leave with the rest of the family is unknown at least for now. At any rate, the separation of the family created the perfect opportunity for travel and exploration as I was growing up. I looked forward to the long car ride from South Carolina through North Carolina, Virginia, DC, Maryland, Delaware, Pennsylvania to New Jersey. It was amazing to see all of the cities along I-95 but it was quite interesting to see fields of grazing cattle so near the city. A lot of the area looked just like the countryside where we lived in South Carolina. But don't tell my cousins that. I did notice, even as a kid, that after a few days in the city there was a strong pull to be in nature. Luckily there was a huge park just down the street from my grandma's house. 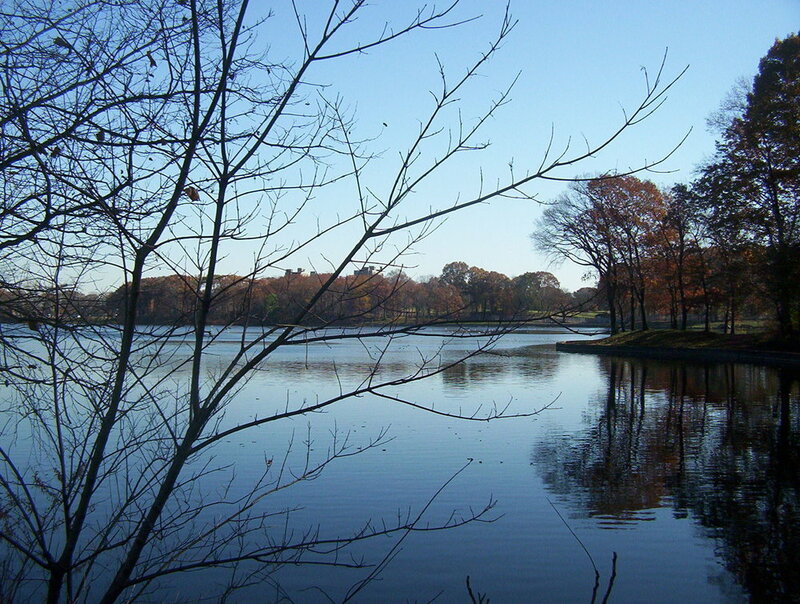 Weequahic Park (wee-kwah-ic) has 311 acres with a lake and lots of green space, basketball courts, trails, and a playground. 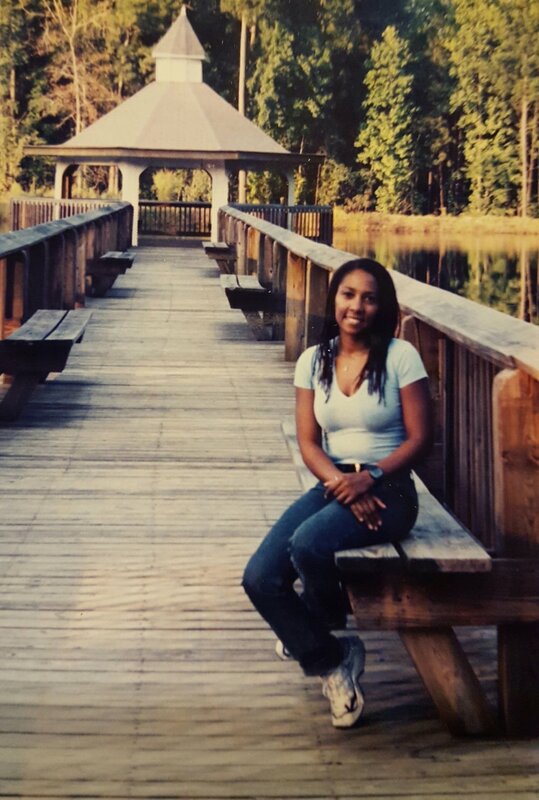 When my brother and I would go to visit my grandmother for the entire summer, we spent most of our time at this park. We would ride our skateboards down to the park and just hang out all day exploring the park with our city cousins and friends. I am grateful for my time in the city because of the exposure to a different way of life including opportunities that lie in big cities but I will always have a need to connect with nature even if it is a park nestle between tall buildings. Growing up in the country has its advantages. We had wild fruit all over my neighborhood and my mom would make desserts for us if we made it back home before eating them all. My favorite homemade dessert was peach cobbler but my favorite fruit to eat while picking was blackberries. Not too tart and not too sweet, I could eat them until I was sick. Of course, my mom loved for us to pick blackberries so that she could make a blackberry dumpling but she was not too happy to see our shirts forever stained from our berry picking adventures. It was amazing to have the freedom to roam around the neighborhood picking berries, cherries, plums and peaches but real dangers were a part of our reality as well. Where there is food, there is wildlife trying to get their share. Luckily, my dad had taught us about snakes (poisonous vs. nonpoisonous ones). And yes, I saw many snakes during my childhood including that one faithful day when I was about 10 years old. I was picking blackberries near our garden at the end of a very large backyard when I stuck my hand deep into the berry patch to get the biggest blackberry I had ever seen. And as my had got close to it, I froze. There was a giant rattlesnake curled up asleep within inches of my purple little fingers. I knew it was poisonous from the diamond pattern and the triangular shaped head and I was terrified. While holding my breath, I quickly eased my hand to safety and ran to tell my dad about the big snake that almost got me. Of course, in one fell swoop my dad chopped off the head of the snake and saved his little explorer. And I went back to berry picking but making sure to look before I reach after my near run in with mr. rattler. Blackberries are still one of my favorite fruit and I still think about that snake encounter everytime I go wild berry picking. Most of all, I think about my dad and how he was there to save the day. It's amazing how seemingly chance encounters can change the course of your life. Well, last week something like that happened to me and the idea of Black on the Outside was born. In my job as an academic researcher, I am often asked my opinion on topics in the area of physical activity or obesity but an email from the National Park Service really got my attention. Some of you know how much I love being outside running and hiking through the woods but I had not linked this passion to my day job. At least I had not thought of a way to integrate the two just yet. Anyway, one of the national parks wanted my opinion on setting up a panel of scholars to talk about what they could do to get more African Americans to visit their park. 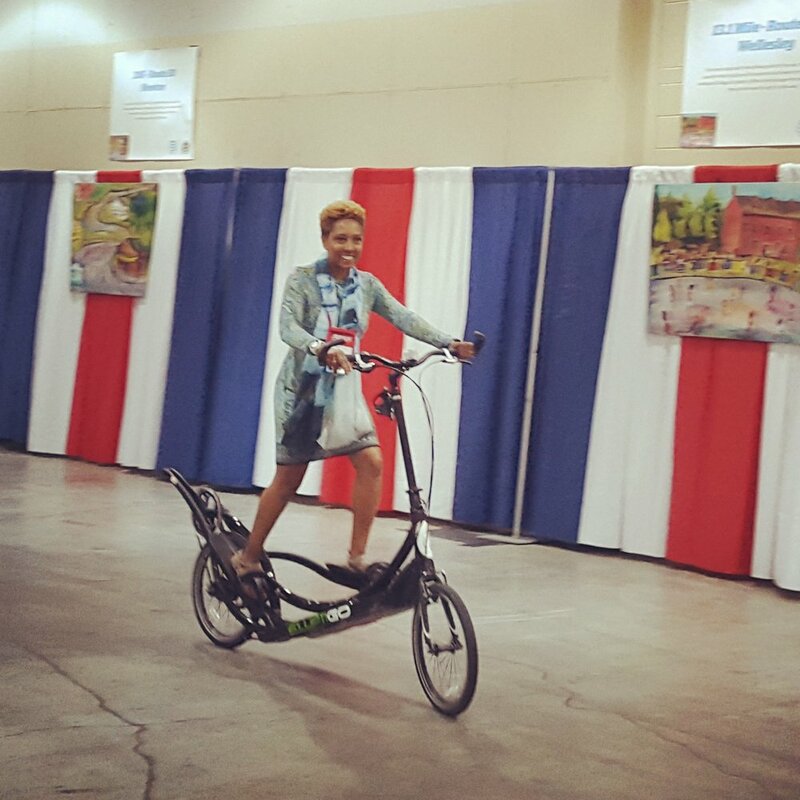 Since this was outside of my area of expertise, I referred her to other African Americans doing this work, The African American Nature & Parks Experience (Teresa Baker) and Outdoor Afro (Rue Mapp). And for my part, I told her stories of my childhood experiences that led me to my passion for the outdoors. 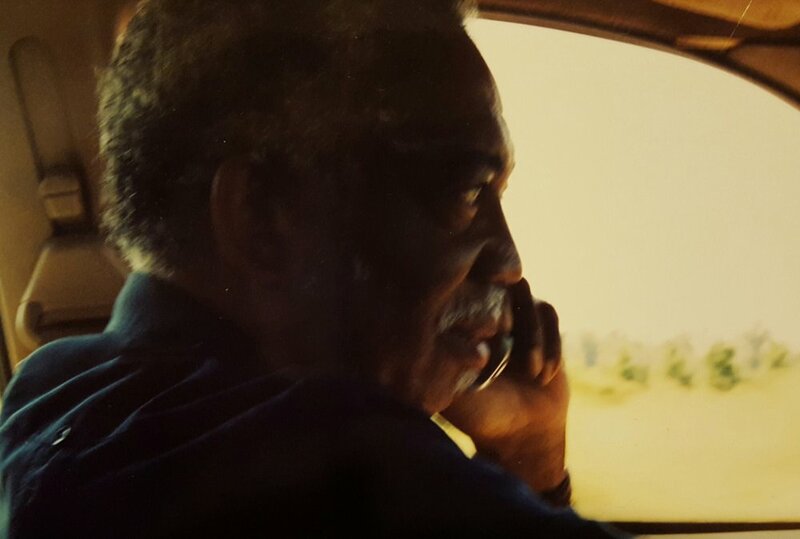 It was during this conversation that I felt a shift in my being as I recalled memories of my dad hunting, fishing, horseback riding and a bunch of other outdoor activities. My dad had all kinds of guns for hunting wild game (deer, rabbits, squirrels, raccoons, and possums -- yes, he ate this stuff) and he showed me how to shoot all of them. I was always eager to try new things and to prove to my dad that I could do anything even though girls were not always encouraged to participate in adventurous activities. But my dad let me tag along with him whenever he was doing stuff outside. I guess you could say I am a little country girl who fell in love with nature through exposure and encouragement from her dad. In the end, I suggested that the park representative go talk to the African American people in her community to find out their stories and why they use or do not the park. I think a lot has to do with experience and a feeling of support and being welcomed. 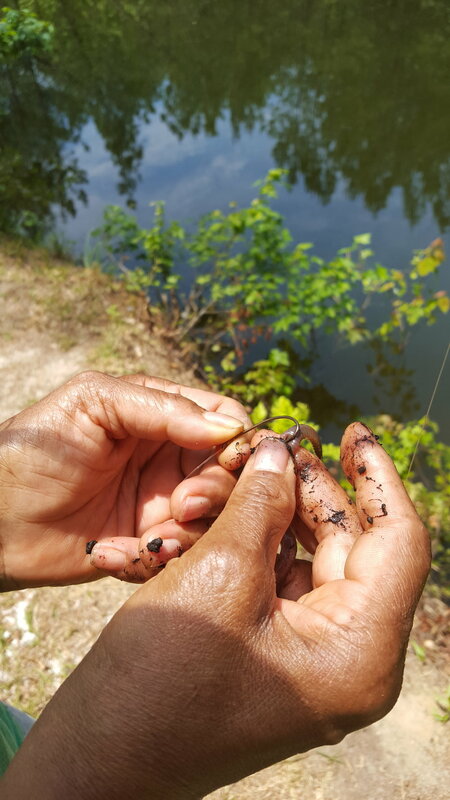 So in addition to including pictures of a diverse cross-section of people of color on park advertisements, it is important to include our stories of convening with nature. Black on the Outside is a collection of stories from childhood up to now that shows the value of early experiences on future behaviors. Some of these accounts are scary and some are hysterical. Hopefully, some of my stories will resonate with you and move you to get outside! Loving nature! King's Chair at Oak Mountain State Park. The weather in South Carolina was perfect for my birthday run at a pleasant 58 degrees especially since it was freezing at home. The drive from my hotel to the race start was a short 15 minute trek with little traffic of mostly people headed to the park. Oak trees with low hanging moss lined the entrance of the former plantation which now served as our race venue. I had no prior knowledge of the trails in the area but saw several marshy sections (uh oh!) on the way to the parking area. Blisters were the first thing that came to mind but I was ready with quick drying (DryMax) socks and Desitin (Thanks to Tanya!) to seal out the moisture (No blisters for me!). There was even talk of river crossings but I suspected that it was just to intimidate those unfamiliar with the trails. Either way I was not backing out of my first big challenge of my 50th year! This race would be my first long run on a tightly looped course (10 loops of 5K each - never again!!!). The first mile was great with mostly flat wide jeep road covered with small rocks, sand, or grass. But by mile 2, our feet were a little wet from a stream making its way across the road with no way to get around it. Oh well, this is trail running! Mile 3 was mostly single track with enough water and deep mud to give me flashbacks from the Mississippi 50. For the first two loops, I just went right through the middle since it was futile to try to avoid the mud bath. Once I mentally got pass the fact that parts of this course was going to be challenging, I got into my groove. Up until the 25K, I was on pace for a 28 minute PR at the 50K distance. Then my IT band started to hurt. Just a little at first so I checked my form to see if that would head off any further deterioration of my pace but it was not to be. After a couple of more laps, my leg was on fire and I just wanted to finish. With 3 laps to go, I plotted to "put the hammer down" on 2nd to last lap but I could not get my legs to go. The wonderful race volunteers were rooting for my success; they gave me high five's and cheered for me as I came through before my last lap. Live oaks before the last lap! After a brisk walk pass the initial rocky section, the caffeine and sugar from my Dr. Pepper gave me energy I needed to crank out the last 5K in less than a minute slower than lap #6. This race turned out to be much more challenging than I had expected. Not sure if it was the looped course (mind numbing), the flat terrain (went out too fast), or the boggy sections (energy draining) that tested me the most, but I dug deep to make it to the finish line. I also wanted to honor the 121 enslaved people who had worked on this former plantation by finishing what was undoubtedly easy compared to their daily lives in the 1800s. Si Awon Baba! Enjoying a local colbeer made by Tradesman Brewing Co. James Island, SC. The inaugural Ultra Chili 50K was a well-organized event with fantastic volunteers and refreshments that never ran out. 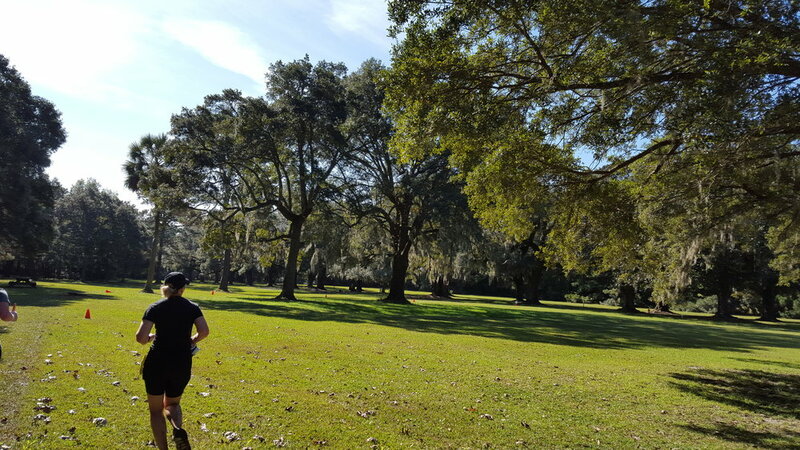 The Charleston County Parks and Recreation gets a thumbs up for supporting what is surely to become a very popular event. All I can say is way to go Charleston, SC. I guess I will have to come back to run the Bridge Run in 2016. Arrivederci!!! Sadichya aka "Shadie" is a really good soccer player at only 12 years old. She plays competitively for the Vestavia Hills Soccer Club. Shadie is fierce on the soccer field as an "attacking" midfielder/forward who consistently scores goals for her team. She was recently selected to be a part of Team Adidas where she will participate in a regional soccer tournament in Norcross, GA. And if that were not enough, Shadie is a straight A student who wants to become a sports medicine doctor. Brava Shadie!!! YOU Rock! The blue butterfly (Limenitis arthemis astyanax) symbolizes transformation. And my life has been a series of transfigurations to grow from a scared little girl into a fearless wild woman. It began with extreme self-care which included being physically active (mostly running), eating well, and spending time outside in nature. 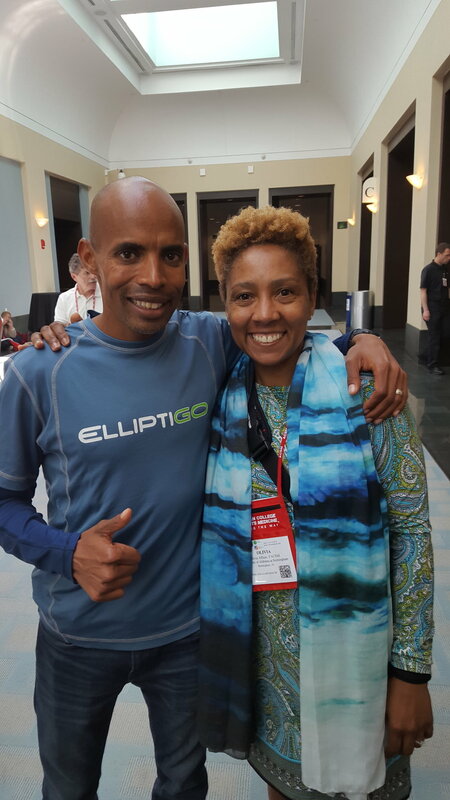 Finding my tribe to connect with socially was another big part of my rejuvenation process. 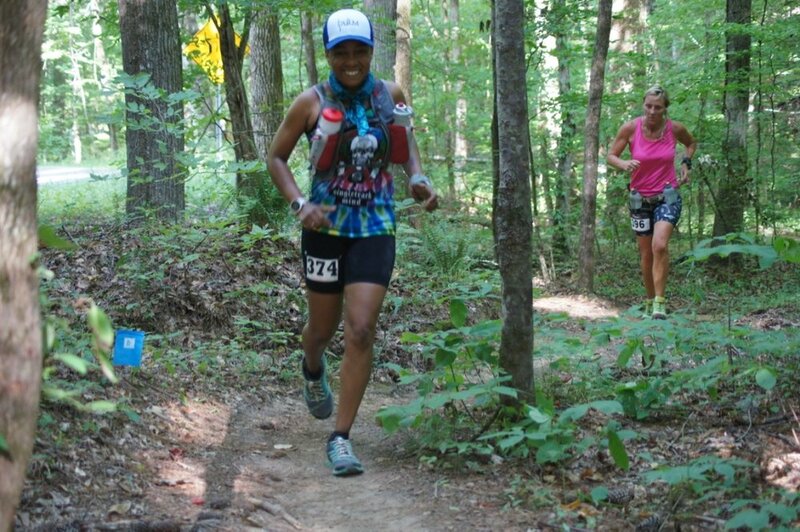 There is just something about runners that is incomprehensible -- and trail runners take that to the next level. Experiencing other cultures through travel also helped to heal that place in my soul created by life's hurdles and trenches. I learned how very privileged I am as a female living in America through visiting other parts of the world. Now, my goal is to inspire other females to create the highest visions of their own lives. Therefore, I will use this forum to share my outdoor adventures as well as feature the adventures of some really incredible women and girls.